A cannulated cow (also called fistulated cow) is a cow that has been surgically fitted with a cannula exposing the cow's stomach, which allows the stomach to be seen from the outside for scientific purposes. A cannula is a 20 cm hole that is cut directly into a cow's digestive tract and acts as a porthole-like device that allows access to the rumen of a cow; the cannula can also be closed with a fitted plug. 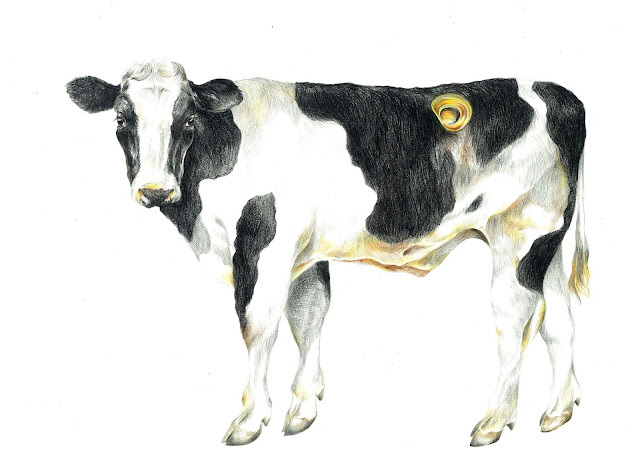 Once the cannula is surgically installed in the cow, farmers and scientists can easily see how the stomach works and how food is being processed by the cow; they can see how fast a cow can digest certain food and also reach into the stomach to get a sample of the food to be analyzed. This method can be traced back to as early as 1920s.